Ski resorts present operational challenges that are best addressed by military-grade situational awareness tools. Successful military operations rely on situational awareness (SA) to create a common operational picture of the exceedingly complex environments in which they operate. 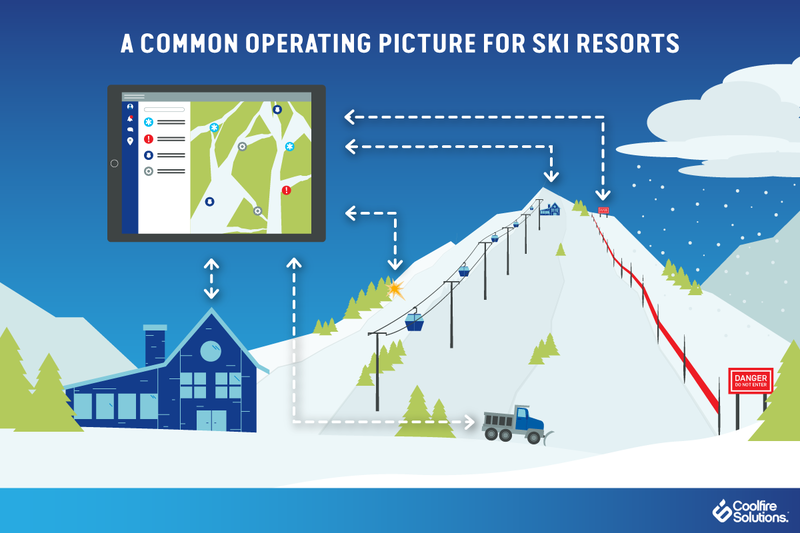 With millions of guests, thousands of acres, and hundreds of trails, ski resorts likewise have to know exactly what’s happening on the slopes — in real time. As ski resorts compete for business, it’s become clear that these increasingly complex organizations require an extra set of eyes and ears. Just as the U.S. military works to integrate decades-old technologies with the latest in situational awareness technology, ski resorts are looking for next-generation solutions to manage their existing operations. To keep track of guests, staff, security, equipment, and inclement weather conditions, ski resorts are beginning to apply cutting-edge military solutions to the way they do business. 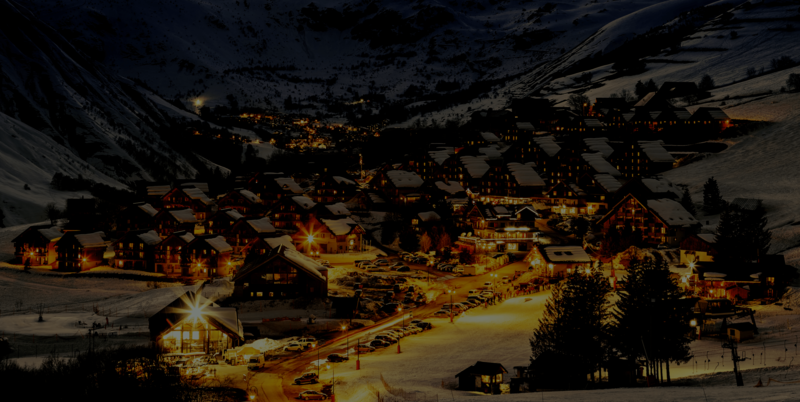 When combined with advanced data integration platforms, this technology offers ski resorts distinct competitive advantages. Ski resorts, like military arenas, are subject to a nearly infinite number of fluctuating variables — variables which must be proactively accounted for and managed in order to limit risk and ensure an enjoyable experience for guests. The weather can change in an instant; trail conditions can shift and deteriorate abruptly; accidents can occur at any time and place. Ski patrols must identify and attend to a broad range of threats — from avalanches and equipment malfunctions to hazardous obstacles and frostbitten tourists. Just as military units must know the location and status of their field units, ski resorts must keep track of guests, employees, and emergency rescue teams at all times. Checkpoint RFID (radio-frequency identification) technology has been an industry standard for nearly a decade, and more advanced tracking solutions are beginning to be implemented — some of which use GPS systems to alert operations when, for example, a guest wanders into a restricted or dangerous area. In the military, miscommunication can be dangerous, or even deadly. To ensure proper communication, command centers and ground forces work off a common operational picture, responding in real time through video, voice, and text. Similarly, resort operators have to be able to reach staff and alert them to any incidents or evolving conditions, such as lift maintenance and trail congestion. Ideally, operators can contact guests with alerts on trail wait times, while guests are able to relay questions or concerns. And in emergency situations, ski patrols need to communicate effectively both with guests as well as external first responders. To stay ever-at-the-ready, U.S. military branches must keep all infrastructure in peak operating condition. These behind-the-scenes efforts ensure that if and when an emergency arises, field units have the tools they need to execute a successful operation. In this respect, ski resorts are no different. Resorts keep tabs on a web of critical equipment and personnel — all of which must be tightly coordinated to ensure a smooth operation. Automated snowmaking equipment and snow groomers maintain trails throughout the day; ski lifts are regularly assessed to ensure they meet safety standards; patrol vehicles must be ready to spring into action at any moment; lighting and fencing are deployed and adjusted as needed to help define the landscape. IT infrastructure also requires regular upkeep, from the surveillance cameras on the slopes to the WiFi in the lodges. If any part of this system breaks down, it can be frustrating or even hazardous, so a network of sensors — like those on Army aircraft — can help provide instant feedback. Overlooked issues might not lead to an enemy attack, but they can certainly derail the visitor experience, and even lead to injuries. While your average ski slope is substantially safer than any given war zone, the sport does carry its share of risks. Like military operations, ski rescue teams need clear protocols and immediate communication to address safety incidents. Emergencies can happen anywhere — chair lifts get stuck, skiers fall, vehicles break down, and bad weather takes guests by surprise. While resorts can work to prevent unsafe conditions on their own slopes, guests may still wander off into dangerous backcountry. Ski patrol has to respond swiftly, providing rapid emergency evacuation, while addressing hazards and closing trails as needed. Ski resorts have been adding new technologies piece by piece to their resort management suite over the years. As a result, they’re facing the challenges of managing a range of diverse and often poorly-integrated assets. Knowing the location of an injured skier is only valuable if you also have the ability to locate the closest ski patrol — and get them the information they need to make a timely rescue. To accomplish this, ski resorts will need to integrate these diverse technologies into a platform that delivers real military-grade situational awareness — a common operational picture that makes it possible to not only see what’s going on, but act on it. What has made situational awareness platforms such an attractive option for ski resorts is the degree to which they are able to integrate with existing technology. Rather than building an entirely new solution from scratch, resorts can simply build situational awareness solutions on top of their existing infrastructure. The tools they already have are in fact the ones they’ll need — what SA platforms do is enable these tools to work together seamlessly. As guests continue to expect more cutting-edge technologies, both for their own enjoyment (tracking their trails on ski apps, for example), and for enhanced safety, ski resorts have an opportunity to meet and exceed those expectations. This, in addition to the potential for cost savings and safety benefits, is creating a compelling reason for ski resorts to take a page out of the military’s book and implement advanced situational awareness tools.